Route type: cycling the coast along sandy coves and clear waters. 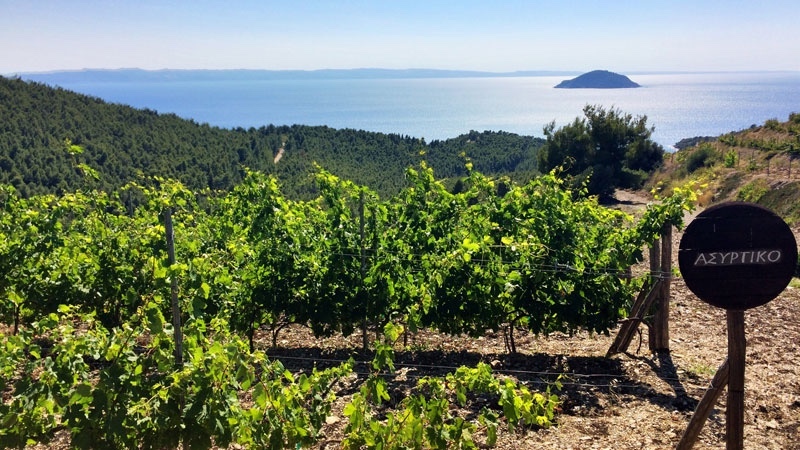 Overview: You ascend from Neos Marmaras in behind the Porto Carras resort and enjoy cycling through the beautiful vineyards with wonderful views to the west, with the island of Kelyfos in sight. Then you continue to Tristinika beach and from there travel back along a gravel track lining the coast. If you are outside of the tourist high season (July – August), you can find your own cove to take a swim. On the way back – sample the wines in the Porto Carras wine cellars. A detailed description with a map is found on page 54 of the Halkidiki Bike Guide, see below.